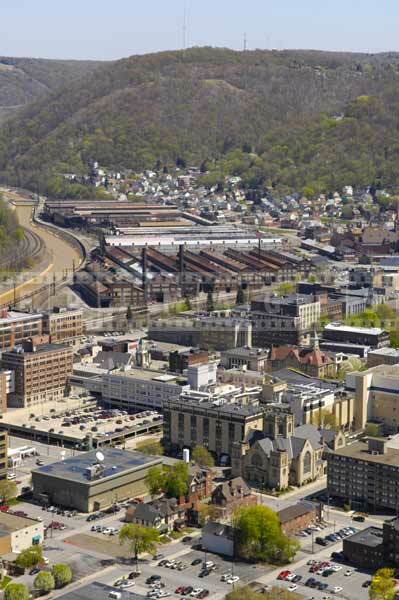 Johnstown, Pennsylvania is mostly known as a place of the great flood. Location of the town on the junction of three rivers makes it prone to flooding. 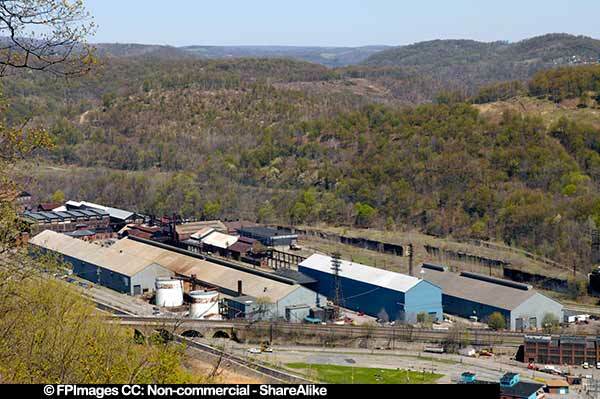 Johnstown is roughly halfway in between Pittsburgh and Altoona. 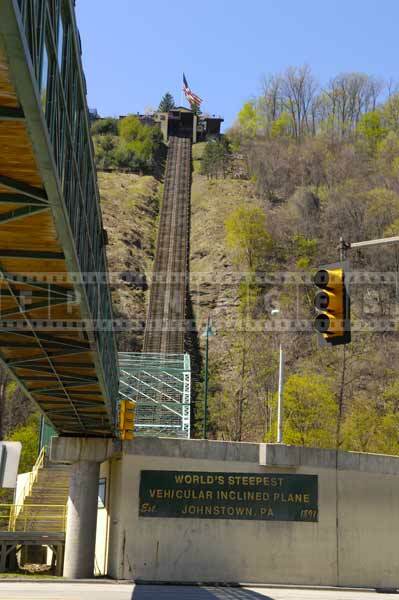 If you happen to be driving in this area and looking for things to do, plan a trip to Johnstown and visit inclined plane. 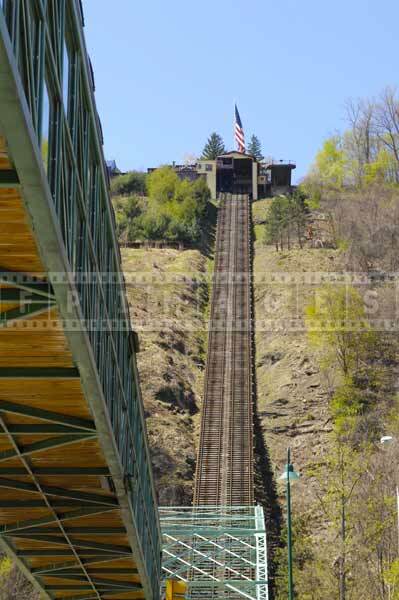 Johnstown inclined plane was built after the great flood of 1889. 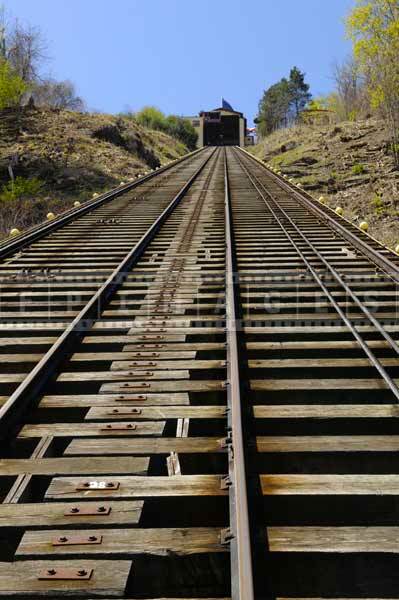 The actual angle of the inclined plane is over 70 degrees and it does look and feel very steep. 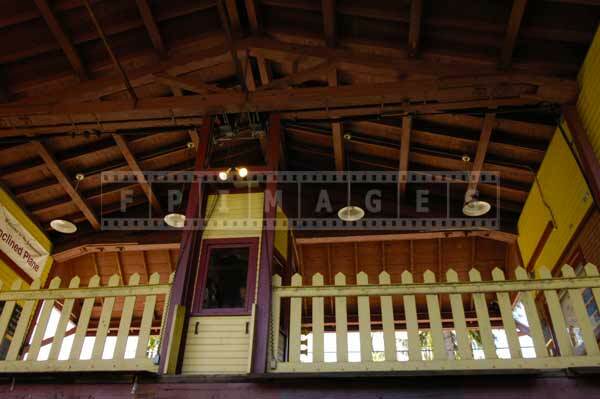 This historic attraction is off the beaten path but is well worth the visit. 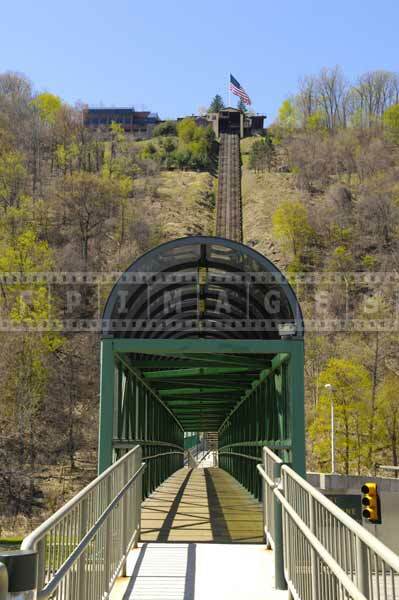 Johnstown inclined plane is a national historic place and also important industrial landmark. 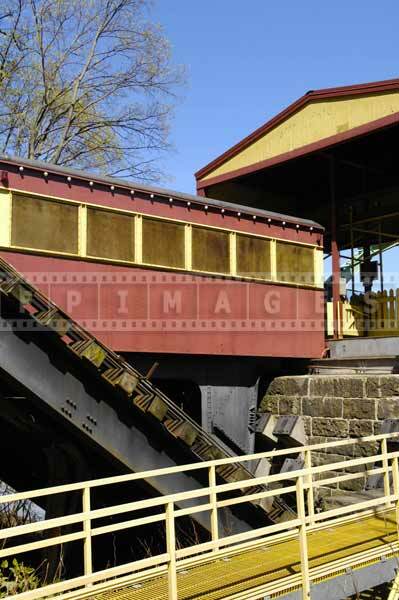 Inclined plane was also included in the list of historic mechanical engineering landmarks. There is a church at the bottom of the plane, you can park there in the street.This part of town is not very prosperous and you can see many abandoned houses. 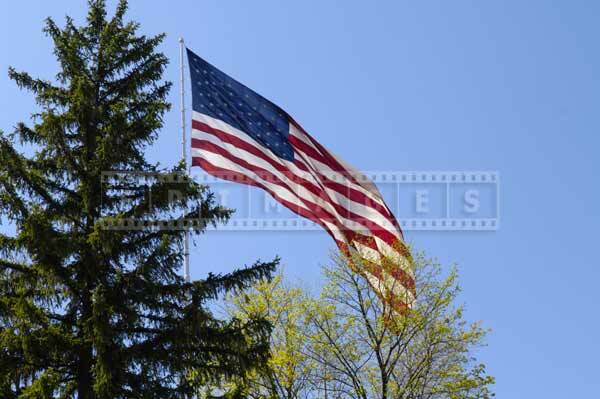 Johnstown is known as a town least likely to attract new citizens. However, leaving your car here during the day should be safe. Take a foot bridge across the river to get to the bottom station. 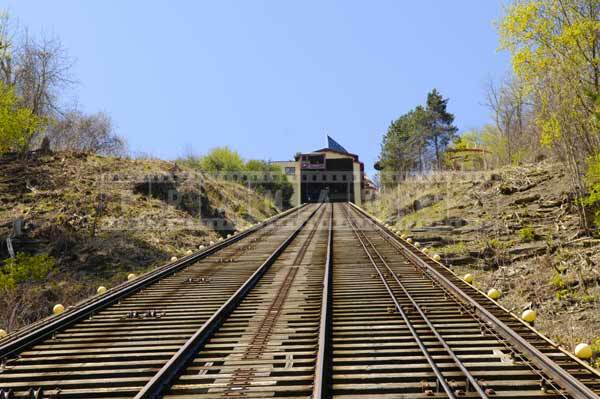 There are two funiculars operating on the plane. 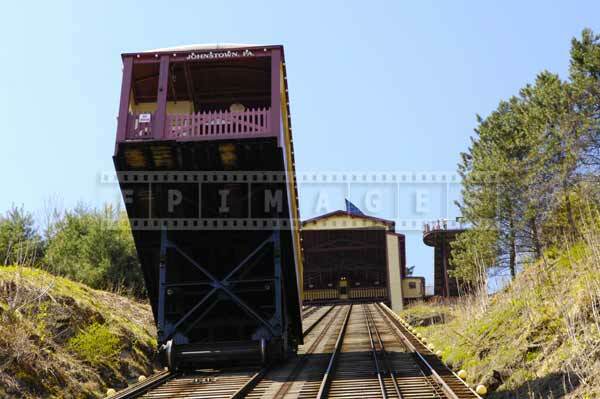 These rail cars are designed to resemble Pennsylvania railroad trains. 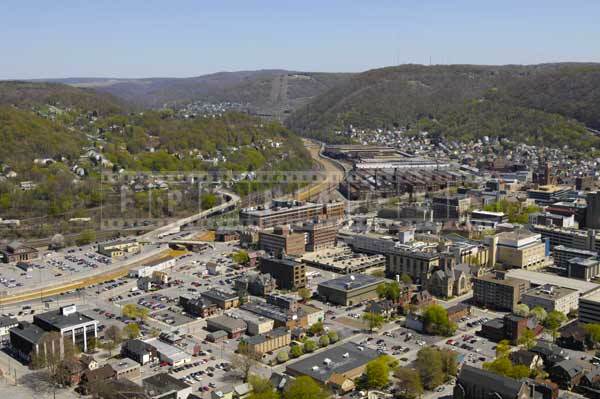 It is a fun ride to the top to enjoy Johnstown cityscapes. 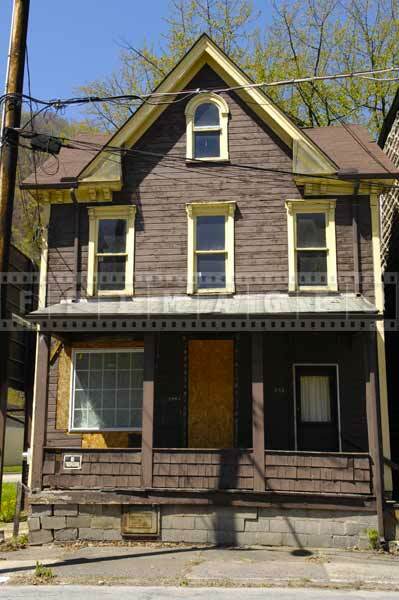 The residential area on top of the hill is in much better shape, houses are bigger and well maintained. Areial view of the town shows the reason for the devastation caused by the flood. 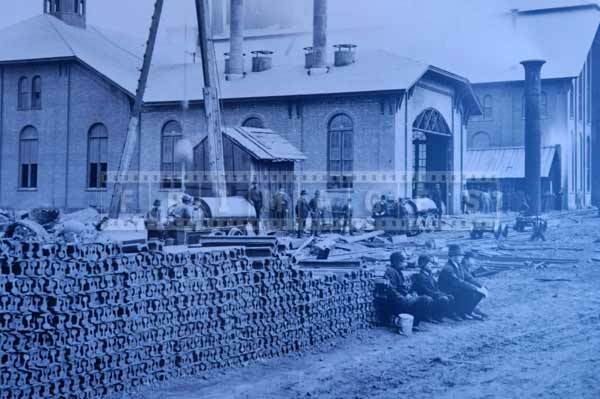 You will also see many old industrial buildings dating back to times when steel industry was in full swing here.